When Is Generosity Something Else Again? 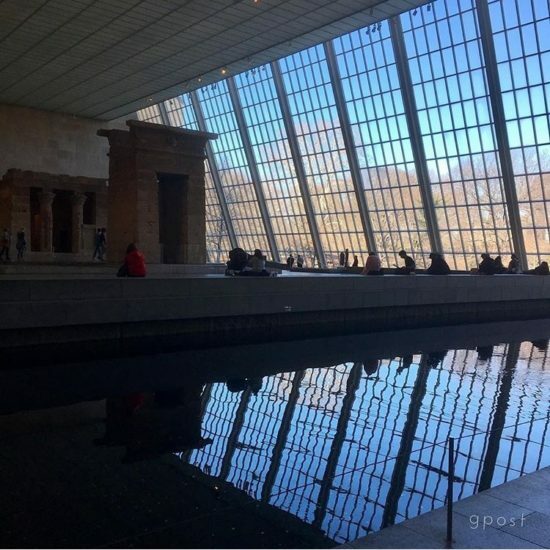 The Sacklers are best known as patrons of the arts, including the Sackler Wing of the Metropolitan Museum in New York with its Temple of Dendur, and the Sackler Gallery, the national museum of Asian art at the Smithsonian. Over the years, the family’s generosity has been noteworthy in areas like education and medicine as well. More recently, the family has become almost as well known as the principle shareholders of Purdue Pharma LP, the manufacturer of OxyContin. Their business endeavors have made them the subject of multiple legal actions claiming that the company’s aggressive marketing has helped to produce the nation’s opioid epidemic. Purdue Pharma has helped the family to build the fortune it’s been using in its philanthropy. In 2016, Forbes estimated the family’s wealth at $13 billion. Since it was introduced to the pubic in 1995, OxyContin has reportedly generated more than $35 billion in revenues for the company. For more than half a century, several generations of Sacklers have supported respected institutions that play crucial roles in health, research, education, the arts and the humanities. It has s been a privilege to support the vital work of these organizations and we remain dedicated to doing so. While plaintiffs’ court filings have created an erroneous picture and resulted in unwarranted criticism, we remain committed to playing a substantive role in addressing this complex public health crisis. Our hearts go out to those affected by drug abuse or addiction. the family’s leaders have pulled off three of the great marketing triumphs of the modern era: The first is selling Oxycontin; the second is promoting the Sackler name; and the third is ensuring that, as far as the public is aware, the first and second have nothing to do with one another. – How often is philanthropy (and the moral afterglow of generosity) a cover for wealth that wasn’t earned in nearly as moral a way? – What might the givers and the receivers in this situation have done differently? 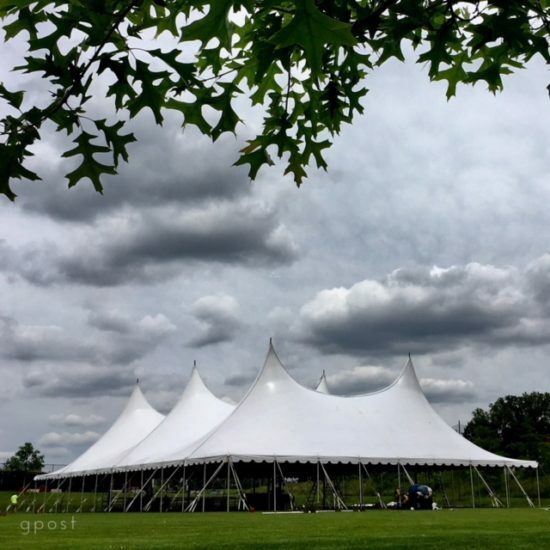 – Since “generosity born of success” always seems to come with the suspicion that you’re “dressing-up the road that got you here,” how can gifts like the Sacklers ever hope to match their best intentions? – And beyond philanthropy, what responsibilities should all receivers and givers—including you and me—have in supposedly “generous exchanges”? Nothing about these questions is easy. For example, some members of the Sackler family have no financial interest in Perdue Pharma, the opioid manufacturer, although it has been argued that marketing strategies pioneered by the family patriarch utlimately drove OxyContin’s success. Some of the Perdue profits that did go to Sacklers were attributable to other products or were produced before the opioid painkiller entered the market. Linking particular individuals to toxic profits that then went into specific gift giving is a complicated question of attribution. In fact, it is a problem for all philanthropy that may have toxic origins. How do you know that the donated Picasso was purchased with a philanthropist’s dirty money? In the case of the Sacklers, it seems clear from an Inside Philanthropy piece last year that at least some of their OxyContin profits likely became gifts to organizations as diverse as Tufts University’s School of Biomedical Sciences, New York Presbyterian Hospital, the Central Park Conservancy, the Guggenheim and Victoria & Albert museums, and the National Academies of Sciences, Engineering and Medicine (which the U.S. Food and Drug Administration relies upon for independent scientific advice on issues like opioid addiction). 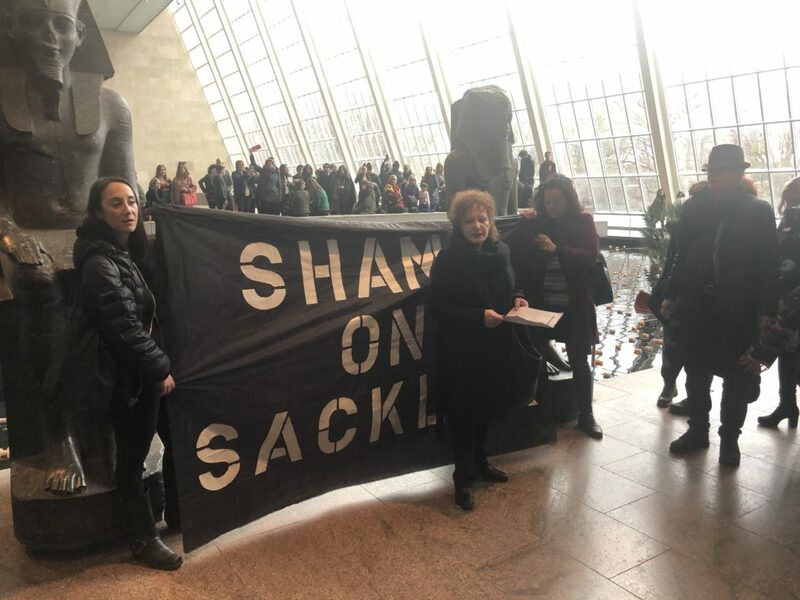 While the Sackler Wing of the Metropolitan Museum of Art in New York City was funded long before OxyContin came to market, it continues to bear the family name and has been at the epicenter of protests against the family’s toxic giving. It’s a thorny path from here for the givers as well as the receivers. For givers like the Sacklers, a couple of avenues are clear to me at least, but neither seems to have been taken by individual family members to date. The first is new philanthropy aimed at opioid addiction treatment, a need that remains woefully underfunded nationwide. Maybe in a strange twist of public relations and legal advice, family members are waiting for a court to tell them what to do instead of making up their own minds. The second road-not-taken is any suggestion that Purdue Pharma is curtailing its global roll-out of OxyContin. According to a 2017 New Yorker article that helped to trigger the current outrage: “the Sackler family has only increased its efforts abroad, and is now pushing the drug, through a Purdue-related company called Mundipharma, into Asia, Latin America and the Middle East.” Again, the better part of valor would suggest that the company should be reducing, instead of expanding its marketing outreach for this painkiller—even if its marketers and lawyers are advising that to do so could be construed as a kind of admission of liability. For receivers like the supposedly independent government bodies that play a role in regulating opioids, the answer also seems clear. They should disclose how OxyContin-related donations were used by them in the past, modify standards that permitted receipt of donations by interested parties in the first place, and refuse to take any additional donations from them. For other receivers of Purdue Pharma related largesse, the issue is complicated by two additional factors: how desperate many (most?) non-profits are to reach their fund-raising goals each year, and how nearly all significant gifts and naming rights are bound up in legal agreements. For the institutions, it’s a real balancing act where there hasn’t been an actual conviction of a crime and it’s more that the donors have done something that is optically troubling to the recipient. While there has been litigation involving Perdue Pharma and OxyContin, no court to date has tied its toxic marketing to any individual member of the Sackler family, despite the fact that several are in senior management or board members. Given all of the brouhaha, I assume that institutions that stand to gain from future Sackler donations are considering the risks of acceptance before they do so. But even here, the path regarding toxic gifts that have already been given or may be given in the future is far from clear. Some insist the amount of good that tainted money can do when invested in a school or museum offsets whether it was made in a deplorable fashion or was given by a deplorable individual. 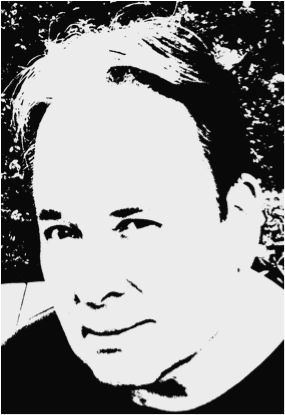 Even if you buy the argument that the ends justify the means, the 24-7 social-media environment makes every receivers’ reputation a key factor in the calculation of ultimate ends . While the opioid crisis has thrown Sackler family philanthropy into bold relief, the moral debate today is hardly confined to individuals who are trying to launder their unclean profits by giving money to prominent institutions. What I started to realize was that giving had become the wingman of taking. Generosity had become the wingman of injustice. ‘Changing the world’ had become the wingman of rigging the system…[L]ook at Andrew Carnegie’s essay ‘Wealth.’ We’re now living in a world created by the intellectual framework he laid out: extreme taking, followed by and justified by extreme giving. It sounds a lot like what the Sacklers are being accused of today. There is also the complicated moral dynamic between individual givers and institutional receivers when it comes to sources of information and the reporting of that information by the press. Media outlets eager to capture audiences with breaking news usually have little time to consider either the truth of the story their source has brought them or the bias and other hidden motivations that could undermine it after publication. When lapses in this kind of giving-and-receiving occur, the implications are wide-ranging because they tend to erode the press’s general reputation for truth telling. Consider too the prominent individuals who may have been too quick to believe the story that Jessie Smolett gave to the media about a racist and homophobic attack in Chicago—and if it turns out to be false—how the breakdown in that exchange could call into question the veracity of everyone who claims they were victimized by a hate crime going forward. Giving nearly anything that has value to an institution today (be it a donation, a work of art, or even an interesting story) can easily become a morally fraught transaction. 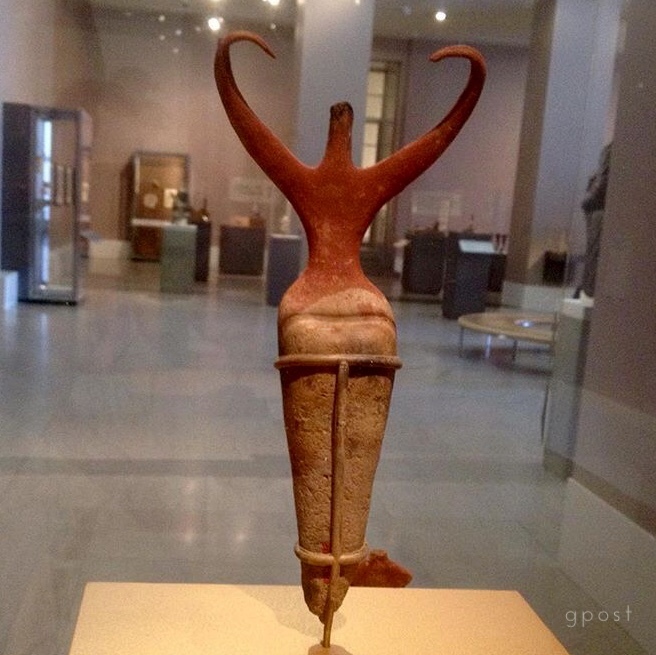 I started this post with a picture of a sculpture from prehistory that conveys—to me, at least—the openness of giving. The bad news is that generosity is rarely this simple, pure or beautiful. Generosity towards others is the key corrective for acting on our own behalf. Whenever we act, we try to be mindful of how that act impacts us as well as others. In autonomous exchanges, we strive to realize the best we have to offer while having the generosity to respect the same kind of striving in others. The aim is reciprocity in how we treat ourselves and others and how we hope that others will treat us in return. Of course, problems arise in life and work when any part of this exchange become unbalanced, but it seems to me that far more attention is spent on the imbalances caused by selfishness than on those that are caused by generosity. Not unlike a wealthy family bearing much-needed gifts for a non-profit or a source dangling a juicy story before a ravenous press, giving can foist significant burdens on the receiver or mask a giver’s less than noble motivations. These pitfalls seems equally likely in our exchanges with one another. For example, it’s easy to be ravished by someone’s seemingly spontaneous generosity, until you’ve been singed by it. A stranger offering you a trinket when he’s looking for a hand-out makes you reluctant to take anything that’s being handed to you when you’re walking down the street. But what if they are items with real value, graciously offered, and part of you wants to accept them? This happened to me while I was traveling recently and unfamiliar with the local customs. It was only later that I discovered what was expected of me in return and could safely provide it…but not before I felt the burden of indebtedness born of generosity. To return to the Sacklers for a minute, there may have been several motivations behind their gift-giving, but at least where philanthropy and random acts of kindness are concerned, such motivations become irrelevant whenever the giver gives anonymously. Unfortunately, among lovers, friends, neighbors, co-workers, bosses, employees and (when in Rome) strangers on the street, anonymity is simply impossible. In our personal relationships, we’d prefer not to focus on the ledger balances between us most of the time. Rough reciprocity in what we give to and take from one another will usually suffice. But losing sight of these balances altogether can weaken and even jeopardize those same relationships. Overly generous givers can feel depleted and exploited by others’ needs. Givers who use their generosity to gain others’ approval can be oblivious to the burdens their giving places on receivers to reciprocate. The needs and motivations at play are as relevant when we give to one another as they are in the seemly less personal world of philanthropy. This post was adapted from my February 24, 2019 newsletter. I took this photo on the Fourth of July in Glenside, a town just outside of Philadelphia. Its citizens had set out chairs, waiting for a parade to honor a struggle that began in revolution but seems to have lost its momentum today. Looking back at past newsletters and from them, even farther back in my life and my parents’ lives, I was surprised by how much I’ve been thinking about the future this year. It wasn’t my original intention. I guess I’ve become convinced that the deep-down quality of the present isn’t the same as it seems on the surface—that the core I remember has been hollowed out—and that what’s coming next may shatter the illusion that the party we’ve been enjoying in spite of it will go on forever. Still, there is no denying that the party has been pretty grand while it’s lasted, a place to enjoy ourselves amidst all the comforts of home. In our lifetimes and our parents’ lifetimes, America sold the Dream of sunny, middle-class home ownership, consumerism, material comfort, and upward social mobility that it thought it needed to reward its WWII veterans and win the ideological battles of the Cold War. (Our kitchens are nicer here than they are in Moscow.) Madison Avenue’s advertising machine helped with the sales pitch, and today we’ve not only won these wars but continue to live the Dream we were supposedly fighting for. And let’s face it, that American Dream has been delivered to many, if not most of us despite our rising income inequality, our concern that our kids may end up with “less” than we have today, and our shabby public infrastructure. Of course, Edmund Phelps’ “mass flourishing” has been tapering off since the 1970’s (my 11-25-18 post) and our safety nets are fraying, but even the poorest neighborhoods have wide-screen TVs, smart phones, and more than their pets could ever want or need. So why, amidst all of this plenty, are we wondering: “Is that all there is?” Is that comfortable surface all that we’re working for? Living for? Maybe some of the uneasiness is recalling—on some level—that we once had more ambitious dreams than getting the latest gadget from Amazon delivered in an hour, binge-watching another series on Netflix, or pleasuring ourselves with the latest meme on Facebook. We’ve either heard about or actually remember a time when the American Dream was much bolder than the warm bath we’re sitting in today—and that those more vital days weren’t so long ago. 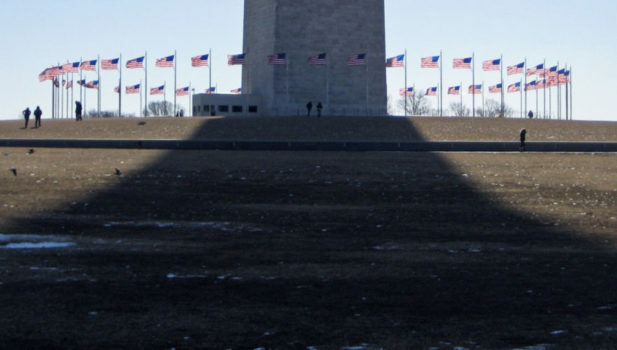 Americans who came of age after 1974 have never seen the government undertake a large-scale project other than highway maintenance and small wars, and relatively few are inspired by the idea that it should. Of course, state-engineered income and racial equality would likely interfere with the mass flourishing of Phelps’ more individualistic and entrepreneurial economy. But what may be most noteworthy about where we find ourselves is the absence of any serious debate—really any tension at all—between the basic problems we face and the different ways we could solve them. This acceptance of “the way things are,” along with our sedating comfort, are the principal reasons that the American Dream has become “fossilized” and needs to be reimagined. Very little of it still resonates with any of us at its core. Behold America: A History of America First and the American Dream by Sarah Churchwell ends with that argument. But before getting to its conclusion, most of her new book is about returning to the newspapers, speeches and other original sources over the past 150 years to identify “the gaps” between “what we tell each other that history shows and what it actually says” about the quality of the American Dream. Through much of our history, there has always been a push and pull that defined the American Dream for the generations that were trying “to make it” here—at least until fairly recently. It’s the long stretch since the Great Society of the 1960s to the present that Churchwell is most worried about. According to the historical record she has unearthed, the America that is reflected in its Dream has “diminished,” and the fact that we once “dreamed more expansively” has been “obscured.” As she eloquently argues, “if even your dreams are ungenerous, then surely you have lost your way.” In its 300+ pages, Behold America demonstrates how a “rich, complex, difficult dream” has been forgotten in a race that focuses on wealth, material comfort and disengagement from a broader struggle for America’s soul. For Churchwell, the time to re-energize a Promise that once motivated us as workers, as citizens and as a nation is now. So why aren’t we doing so? Churchwell doesn’t say, but I’ve tried to offer some explanations here over the past several months—at least for our personal reluctance. Beyond disengaging from any notion that sounds like rally-around-the-flag or that asks us “to believe in something” instead of remaining at a cynical distance, preoccupation with our comforts and “the rush of the future” leave little space for the kinds of activism that challenged America’s worst tendencies in the past. Almost a year ago (in my 1-7-18 newsletter), I quoted from a Roxane Gay essay about “the tiny house movement” that quickly turned from playful to serious regarding the promises that we make to one another. When we talk about the American dream, we never talk about what that dream costs. We never talk about how so many Americans are one financial crisis away from losing their savings or their homes. And we don’t talk about how the American dream should not be grounded in material things like large homes or fancy cars rather than, say, single-payer health care, subsidized childcare, or a robust Social Security system. We don’t talk enough about what should and shouldn’t be included in the American Dream and spend even less time acting on our convictions. Perhaps there’s not enough hope that anything we do will matter. But believing in our priorities enough to act on them always matters. As John Berger says in my post last month about the rescuers after the Paradise California fire, hope is the fuel, the “detonator of energy,” that drives us to act on our convictions. A dream, the American Dream, is just a good story that embodies those hopes. I mentioned several reasons why the fuel line between hope and action gets clogged in another post last August. The addictiveness of social media. The proliferation of entertainment to listen to, watch, and get lost in. The online availability of every kind of diverting information. A consumer economy that meets every real and imagined need for those who can afford it. We move between jobs that fail to engage us to leisure time that gratifies us into a kind of torpor. We’re too sedated by the warm bath we’re in now to worry about a future that hasn’t arrived yet. 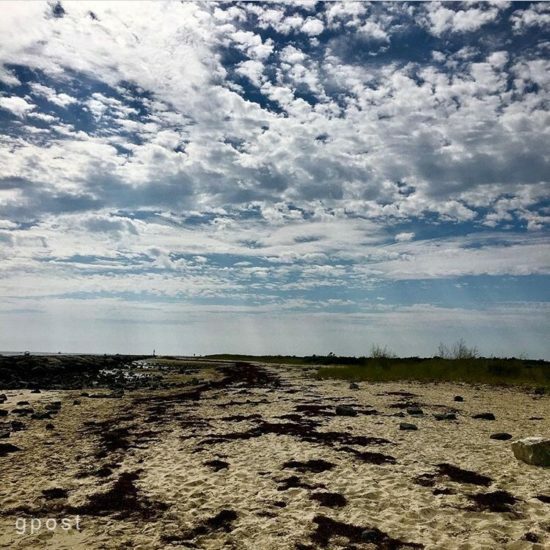 And not just during the dog days of August…. The only way to overcome these obstacles is by finding enough hope to want to demonstrate our capabilities and act on our generosity once again. In his poem the Hollow Men, T.S. Eliot described the moral emptiness that seemed to him to envelope everything in the wake of World War I. What he wrote then is not so different from where we find ourselves today. 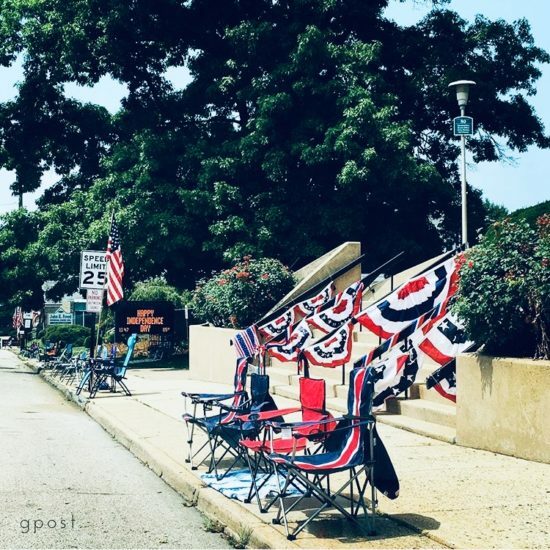 The July 4th parade in Glenside aimed to celebrate what we’ve “created” and how we’ve “responded” to our challenges as a nation but it has fallen into Shadow. In our jobs, as members of a community and as citizens, the only way out of the Shadow is to “respond” once again to priorities that are bigger than our comfort or cynicism and to “create” an American Dream that is worth living in again: one capable and generous step at a time. This post is adapted from my December 23, 2018 newsletter. We don’t act on our values at work because we feel hopeless, that the odds are staked against us, that nothing we can do will matter. But are we right about that? Resignation affects our paying jobs—how we retreat from our priorities in our workplaces—as well as the jobs we do in our communities (say, to support a local institution) or at home (as a caregiver). Since everyone else is only concerned about himself or herself, then maybe that’s all I should be worried about too. Am I right that my occasional impulses to be more open and generous are pipedreams that can never be realized? A survey taken by the Common Cause organization in the UK in 2016 challenges both what we think about other peoples’ selfishness (as opposed to ther generosity) and the sense of resignation that quickly follows in us. The accompanying report also discusses how we decide on what we value more and value less. It’s not just the convictions that we’re born with. Our priorities are also influenced by what we think other people and the social institutions that we identify with value. It works in the other direction too, with our values and how we demonstrate them influencing these others too. Our values take form and get applied because of a complex back-and-forth. Think of it as a three-way conversation. But you need to participate in that conversation to have an influence, and Common Cause discovered that your influence is probably far greater than you think it is. Common Cause UK initiated the survey because, as an organization, it was concerned about the lack of public support for social and environmental changes it was seeking. Its leaders understood that values drive change and wanted a better understanding than it had already about citizen priorities. Those conducting the survey were surprised enough by the amount of common ground they discovered that they went on to propose ways that individuals and organizations (including businesses, non-profits and governments) can begin to overcome the current gridlock. Here is a link to the survey report (“the Survey”), which I think you’ll find as interesting as I did. This is the question I brought to it: Is where you “make a living,” try to make a difference in your community and create a better life at home primarily about your “selfish values” or is your work really driven by far more generous impulses? What the Survey shows–in a one-two punch–is how acting on the so-callled “compassionate values” that play a lead role for most of us is likely to be far more consequential than you know. The Survey defines “selfish values” as wealth, social recognition, social status, prestige, control over others, authority, conformity, preserving public image, popularity, influencing others and ambition. It defines “compassionate” values as broadmindedness, a world of beauty or at peace, equality, protecting the environment, social justice, helpfulness, forgiveness, honesty and responsibility. The Survey found that nearly 75% of participants placed greater importance on compassionate values–with Survey protocols correcting for the bias that participants were seeking to cast themselves in a better light by downplaying the importance they attach to selfish values. Even more striking was the Survey’s finding that 77% of participants believed that other people were primarily driven by selfish values. The truth is that a large majority of people (three-quarters of the population) believe that their generous motivations are more important and drive them far more often than their selfish ones. Because people always influence one another when it comes to values, and the priorities of social institutions are shaped in a similar conversation, the Survey’s authors make several recommendations to activate our generous commitments, including these. Since people are discouraged from declaring their priorities when they believe that most other people disagree with them, accurate information—like that provided here—will not only counter pessimism but also fuel optimism. When it comes to your values, what other people value matter almost as much as what you value “in your heart of hearts”. But it goes beyond your optimism or pessimism. In the course of our work, we can probe other people’s motivations (instead of assuming them) to strengthen our social connections, while also finding enough courage in “the strength of our numbers” to act more generously. The consequence for you and for others is similar to when you voice your dissent in a group, a back-and-forth exchange that was discussed here a couple of months ago. When you speak from your convictions and are clear about the changes you seek, it enables others to clarify their commitments, even when they’re different from yours, and for the group to move forward. Acting on your commitments also conveys your beliefs about how social institutions (from community groups to the federal government) should operate. How is a person’s perception of others’ values shaped? A person’s perceptions will be influenced by both what fellow citizens say is important to them and what he or she infers about fellow citizens from the way that they behave. 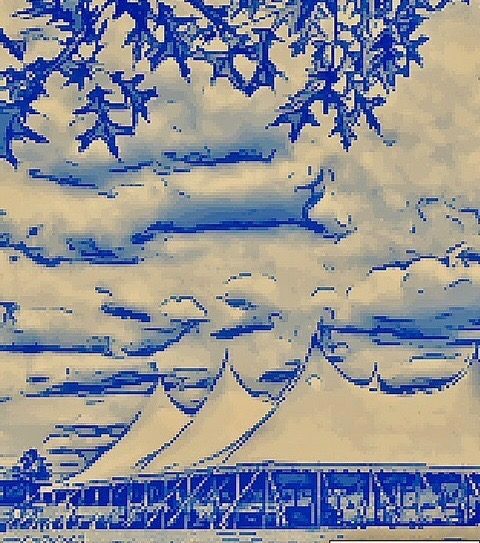 For this reason, it is very significant if people don’t always bear testimony to the values that they hold to be most important – either in what they say, or what they do…[P]eople often speak and act as though they attach particular importance to values that are actually relatively unimportant to them. In other words, co-workers, neighbors and even family members may only seem to be acting selfishly. To discover their generous impulses, you may need to watch them more closely or simply ask what drives them in the work that they do. Your actions and others’s actions speak louder than words to social institutions too. An institution like the US Supreme Court is always “noticing” how the American people are expressing themselves as decision-makers, voters and consumers. Because the men and women who guide these institutions are influenced by the public’s values, our acting generously impacts institutional commitments as well. In America today, it may seem like politics mirrors the debate between generous and selfish values, but it doesn’t. While Common Cause’s objectives in conducting the Survey were to advance liberal-sounding social and environmental objectives, this Survey isn’t about the liberal versus conservative divide in either the UK or in America, even though one of the Survey’s compassionate values (“social justice”) may have political connotations here that it lacks in Britain. The polarity that the Survey identifies between compassionate and selfish values is different than the struggle between political left and political right. The Survey’s results plumb something that goes deeper than the “political values” in those debates. That’s because “political values” both here and across the Atlantic are little more than buzzwords aimed at mobilizing one’s political base: red flags like “global warming,” “taxes,” “abortion” and “diversity” that have a high emotional charge but little if any ethical content on the political surface. When you plumb beneath the surface however, most conservatives as well as most liberals are committed to the health of the planet, to paying for our social institutions, to the quality of every person’s life, and to the inherent worth of people who are different from them. Three quarters of us! Why not start with the values that unite us rather than the buzzwords that divide us? Consistent with the Survey’s findings about compassionate and selfish values, most peoples’ convictions extend far deeper than will ever be apparent during bouts of political gamesmanship. Moreover, those on their “political sides” are often voting, marching and lobbying for the lesser of two evils (as in the last American election), which further obscures their true convictions. Even when the ethical imperatives that drive a block of voters are reasonably well-known, too little time and effort has gone into identifying the common ground that could unite them with those “on the other side” and break the current gridlock. In this regard, the Survey provides a glimpse into the majority’s convictions when asked about two key values that are prime motivators for tackling our problems today. A broad-based preference for generous over selfish values provides at least some of the foundation for a collective way forward—and all of us would be seizing an opportunity by taking it. Given the Survey’s findings, the influence that your actions will have on others and on our institutions will likely be considerable and certainly more than you currently think if you’re as misguided as the Survey participants about the selfishness driving others. I’ve often wondered what alliances and affinities might arise without those badges of right and left. For example, the recent American militia movements were patriarchal, nostalgic, nationalistic, gun-happy and full of weird fantasies about the UN, but they had something in common with us: they prized the local and feared its erasure by the transnational. The guys drilling with guns might have been too weird to be our allies, but they were just the frothy foam on a big wave of alienation, suspicion and fear from people watching their livelihoods and their communities go down the tubes. What could have happened if we could have spoken directly to the people in that wave, if we could have found common ground, if we could have made our position neither right nor left but truly grassroots? What would have happened if we had given them an alternate version of how local power was being sapped, by whom, and what they might do about it? We need them, we need a broad base, we need a style that speaks to far more people than the left has lately been able to speak to and for. The value that could have driven this unity was the protection of livelihoods and communities (a compassionate value) rather than sacrificing them on the altar of globalism and trade (an ultimately selfish one). Solnit’s desire for environmentalists and ranchers in the American West to make common cause is similarly astute. Again, she attacks top-down ideological convictions that will never succeed because they always seem to miss the human costs at ground level. Environmentalists had worked with a purist paradigm of untouched versus ravaged nature. Working with ranchers opened up a middle way [for her], one in which categories were porous, humans have a place in the landscape—in working landscapes and not just white-collar vacation landscapes—and activism isn’t necessarily oppositional. This time, the common ground that Solnit saw was how environmentalists and ranchers both love and depend on the land, how each cherish different things about it, and how neither wants to harm it (another compassionate value) while the other side’s interest in the land is largely motivated by how much can be taken from it (a selfish one). One day, the generous values we hold in common will help us to solve the problems that confront us. I’d argue that we should start acting on our generosity today. 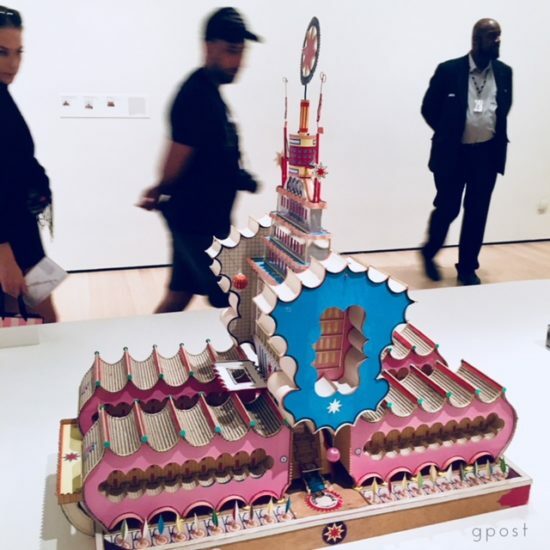 I saw rooms full of models of imagined buildings and cities at the Museum of Modern Art in New York this week. 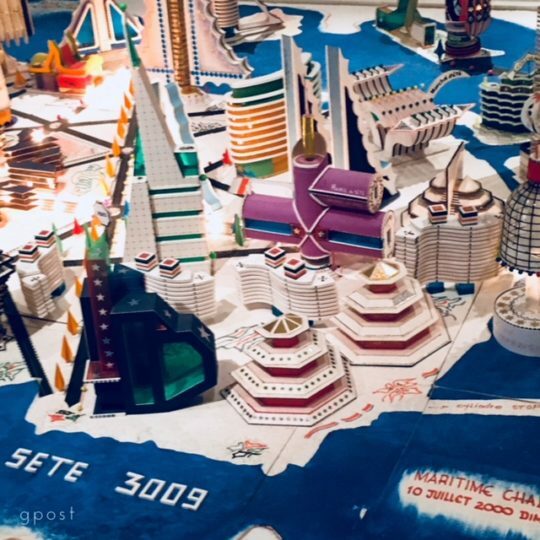 The artist was Bodys Isek Kingelez from central Africa. 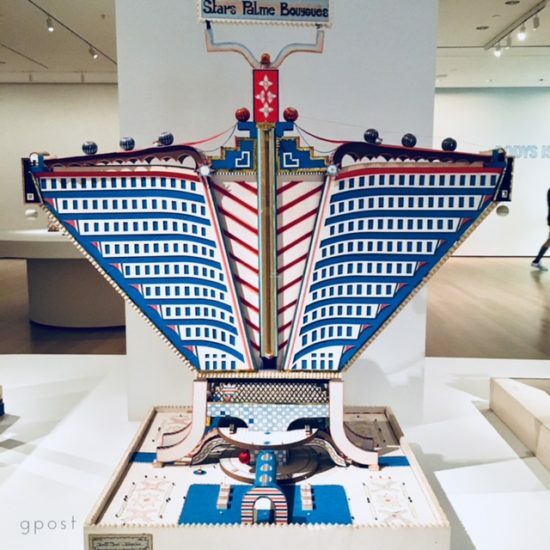 Pictured above is one of his futuristic building models. They reflect “dreams for his country,” known during his life as the Belgian Congo and later as Zaire. Kingelez said he was envisioning “a more harmonious society” than he saw around him. Artists are sometimes better at envisioning than the rest of us. It can be even harder for us to bring a better future into our day-to-day work—but when we do, our hopes pull us forward, particularly as we struggle to realize them. Acting on what we hope for is one of good work’s foundations. So are acting out of our aim for both generosity and autonomy on the job. I’ve been thinking about demonstrations of generosity, autonomy and acting on hope this week from teacher/writer Roxanne Gay, actor/rap artist/omnivore Riz Ahmed, and activist/public intellectual Rebecca Solnit, respectively—3 powerful voices with a lot to say about how we spend our time and talent every day. Generosity is about acknowledging the autonomy or self-determination of others (like co-workers, clients/customers, suppliers, members of your business and non-profit communities) in the course of your work. You probably know comic Louis C.K. Highly acclaimed, his semi-autobiographical cable TV show Louis and stand-up comedy specials have won 6 Emmy awards, a Peabody, and star-struck interviews at places like Fresh Air. To me, his comedy seemed deep, subtle, smart, and self-aware. Until late last year, when he was “outed” by several women who worked with him, it seemed that Louis C.K. could do no wrong. They accused him of pretty egregious conduct that reminded me of apocryphal stories I used to hear about neighborhood “flashers,” only this time much worse, because he was not the sicko stranger in a trench coat. Instead, several in his reluctant audience had tied their careers to his. As the story came out (on the heels of Harvey Weinstein, Kevin Spacey, Charlie Rose and others), I was surprised by the “not enough” of his public reactions and the suggestions around them that he had previously tried to bully his accusers into silence. Well this week, less than a year after the revelations first surfaced, Louis C.K. returned to a thunderous reaction “on the come-back trail.” The crowd that felt lucky enough to be at a NYC comedy club for his unannounced performance was reportedly ecstatic. Clearly, Louis C.K. didn’t know how to handle the “world of hurt” around his abusive conduct when it first came out and was similarly clueless when he concluded “that all had been forgotten” and “it is time for everybody to just move on.” In a New York minute, Roxanne Gay told him otherwise. It might have been easier for Louis if his comeuppance hadn’t been in the New York Times. But she didn’t just excoriate him. She met him like she acknowledged his intelligence, his talent, his fans who might still learn from what she was about to say. Instead of writing him off as a perverted loser, Gay told him what he (along with others who don’t know but need to hear) what should be done by adults who behave this way. It was a gift he may not have deserved, but it was a judgment that was elevated by the light that she brought to it. “If Louis C.K. doesn’t know what to do when he’s caused this kind of damage, then I’ll try to explain it,” she seems to say—so he can make it right this time, and others like him can learn what they need to do too. Anger followed by patience in that New York minute was an act of generosity. Indeed, it’s a balance that elevates nearly everything that Roxanne Gay does. How long should a man like Louis C.K. pay for what he did? At least as long as he worked to silence the women he assaulted and at least as long as he allowed them to doubt themselves and suffer in the wake of his predation and at least as long as the comedy world protected him even though there were very loud whispers about his behavior for decades. He should pay until he demonstrates some measure of understanding of what he has done wrong and the extent of the harm he has caused. He should attempt to financially compensate his victims for all the work they did not get to do because of his efforts to silence them. He should facilitate their getting the professional opportunities they should have been able to take advantage of all these years. He should finance their mental health care as long as they may need it. He should donate to nonprofit organizations that work with sexual harassment and assault victims. He should publicly admit what he did and why it was wrong without excuses and legalese and deflection. Every perpetrator of sexual harassment and violence should follow suit. 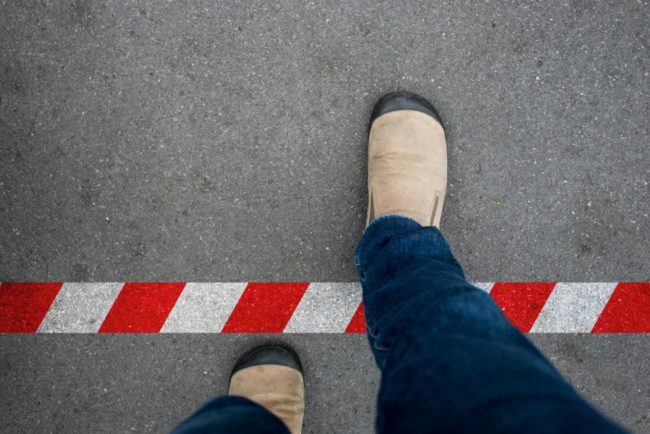 Moral condemnation is easy but describing the “road someone needs to take back” requires a comprehension of the pain that was caused, the actions that would be necessary to alleviate it, as well as the belief that he could act on your advice. Most judgments fail to include these components, but Gay’s has all of them. The Christian lesson of the crucifixion is infinitely more powerful because it is followed by the resurrection. We’re expert at crucifying people today—at work, and otherwise—but too often seem to be unconcerned about their ability (and ours) to rise afterwards. It’s not about forgiveness but the hard-won path to change. The last time I wrote about Roxanne Gay on this page was in January. Autonomy is actively making the most out of what you have, identifying what is important to you, and putting yourself on the line to achieve it. Autonomy is self-determination. A profile with that line and additional suggestions about Ahmed’s perspective was this week’s cover story in the New York Times Magazine. You can sense what’s unique about him from the first impressions that Ahmed made on his profiler about his jobs as an actor and musician, pathfinder, role-model and activist. It’s not that he doesn’t get animated. He does. Talking with Ahmed can be a little like sparring, a little like co-writing a constitution, a little like saving the world in an 11th-hour meeting. He interrupts, then apologizes for interrupting, then interrupts again. He can deliver entirely publishable essays off the top of his head. He pounds the table when talking about global injustices, goes back to edit his sentences minutes after they were spoken, challenges the premises of your sentences before you’re halfway through speaking. This is what happens when you cut your teeth on both prep-school debate teams and late-night freestyle rap battles, as Ahmed has. He is like someone who wants to speak truth to power but now is power — famous enough, at least, to have people listen to his ideas. He is like someone very smart who also cares a lot. He is like someone who doesn’t want to be misunderstood. Not surprisingly, much of Ahmed’s edge comes from being a Pakistani-Brit, rising from one competitive lower school to another. Along the way, he felt his separateness as a South Asian but always “believed that the flag of Britain should and would obviously include him.” That is, until Al Qaeda’s attack on Twin Towers, which happened the month he matriculated to university and made it even more burdensome to be a Muslim. It was there that he made a critical life choice. [H]e found himself at Oxford University, just after 9/11 — a brown kid surrounded by the acolytes of seemingly ancient white wealth, who sometimes did have a way of talking to him as if he were a shopkeeper. Rather than retreating into Oxford, he decided to make Oxford come to him. He started organizing parties that celebrated his music and cultural touchstones, parties where he would get on the mic over drum ’n’ bass records. Soon enough, the event he co-founded, “Hit and Run,” moved to Manchester and became one of the city’s leading underground music events. What could have been angry rejection and a retreat to the company of other South Asian Muslims instead became his invitation for Oxford to join a broader conversation that he was sponsoring. It was a place where he mashed up Pakistani melodies and rhythms with British rap (just as rap was rising to become the most popular music in the world.) As Lena Dunham observed about him, he combined the bravado of someone in the hip-hop world with the intensity of someone who’s mounted a barricade. Creating this platform was a singular act of personal autonomy (as well as generosity towards others) that has informed Riz Ahmed’s work ever since. He wants to initiate a conversation that’s big enough for him and for everyone else. It’s a theme that shines through every corner of his remarkable story. I hope that you’ll enjoy digging into more of it. Envisioning is living the future that you hope for through your work. I read Rebecca Solnit’s “Hope in the Dark” traveling to and from New York City. In a nutshell, it’s about living what’s important to you, even though there is no assurance or even likelihood that the better world you’re working for will get any closer as a result. As her title says, it’s hope in the dark. Americans in particular tend to want more certainty than that. We’re not accustomed to a continuous struggle for a better world or trying to “live our hopes”–particularly when they may never be realized–every day. Instead, we tend to respond to a crisis/problem/challenge, declare victory or defeat, and go home to wait for the next one to demand our attention. Our responses are generally to emergencies that interrupt the normal flow of our lives. We don’t tend to see struggling for what’s important to us as a daily commitment. It is because the struggle is never easy and never done that Solnit quotes the poet John Keats, who called the world with all of its suffering “this vale of soul-making.” While “Hope in the Dark” is mainly Solnit’s call to continuous political activism, her arguments apply equally to declaring what’s important to you though the work that you do, that is, to any kind of acting on your convictions. To borrow the force of her argument, your jobs become “toolboxes to change things,” places “to take up residence and live according to your beliefs,” and, as Keats would say, “vales” where your soul is made because it is where a sense of meaning, purpose and wholeness (as opposed to partial victories or defeats) can be found. If you’re unfamiliar with Rebecca Solnit, “Hope in the Dark”‘s 100-odd pages would be a splendid introduction. Her “A Paradise Built in Hell: The Extraordinary Communities That Arise In Disaster” such as 9/11 and Hurricane Katrina is a beautiful argument that we’re far more and far better than we often think that we are.